Tech N9ne’s got the kind of rhymes that split wigs, and nothing puts it on display better than this red 100-percent cotton t-shirt. 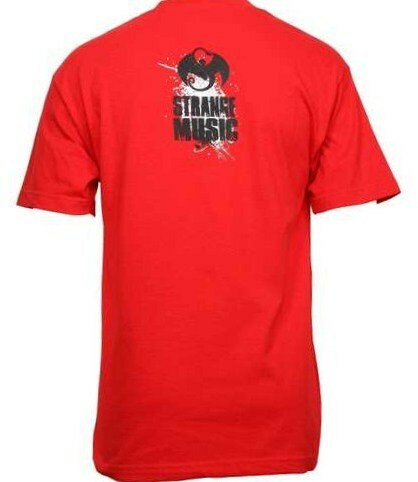 Available in M, XL, and 3XL, this shirt features “Tech N9ne” written on the front in front of a splatter design and “Strange Music” on the back with the Snake and Bat logo. Click here to order yours today.